Historically, Cordoba was a Roman outpost and followed into Christianity. But in 711, the city was sacked by an invading Islamic force. 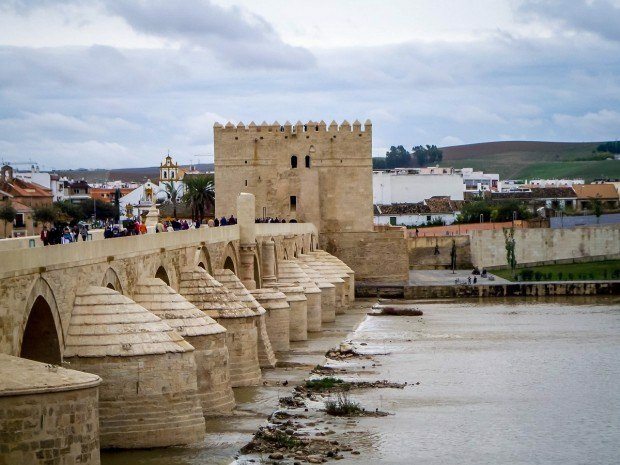 Cordoba was ruled as an Islamic caliphate from 711 onwards in what is considered the Golden Age of Islam. In 1236, Cordoba was liberated, but the resulting influence has made Cordoba one of the most architecturally unique cities in the world. And nowhere is that architecture more prominent than at La Mezquita. On the site of a former Roman ruins, a Catholic church existed before the year 700. 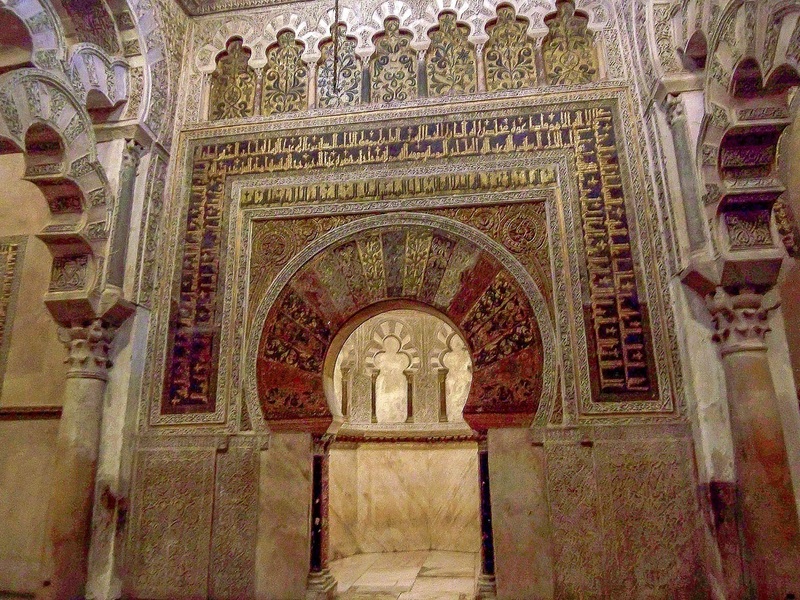 After the Muslim conquest of Cordoba, the Christian church was briefly divided into Muslim and Christian sections, where both faiths worshiped together. 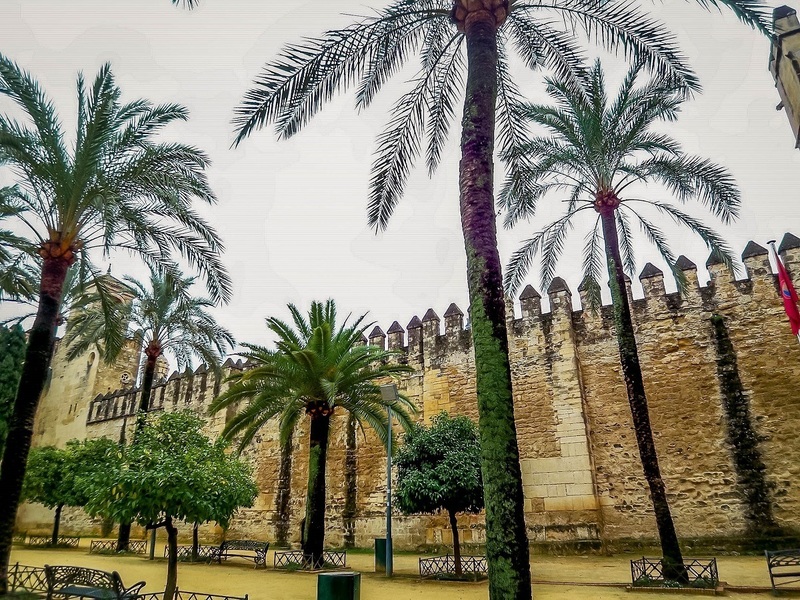 However, in 784, the entire church was taken over and demolished to make way for the Great Mosque of Cordoba to be built – an early kind of eminent domain. From the ruins, the massive Great Mosque of Cordoba was built. 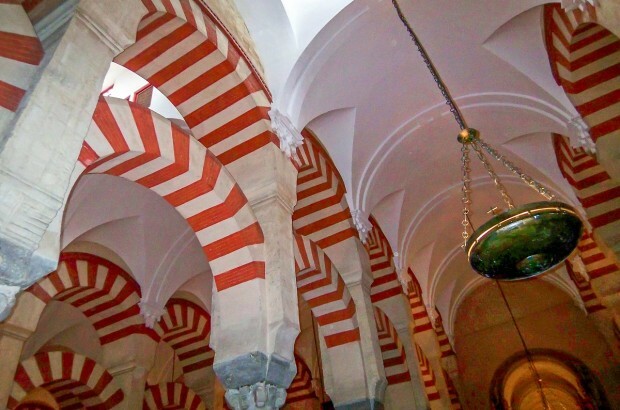 The inside of the Mezquita is adorned with over 850 columns topped with red and white candy cane stripes. This is one of the most iconic images from Spain and is one of the most perfect examples of Moorish architecture in Spain. These days, the Great Mosque of Cordoba is known as the Mosque-Cathedral of Cordoba. The Catholic Church recognizes it as the Cathedral of Our Lady of the Assumption, which exists inside the former mosque structure. 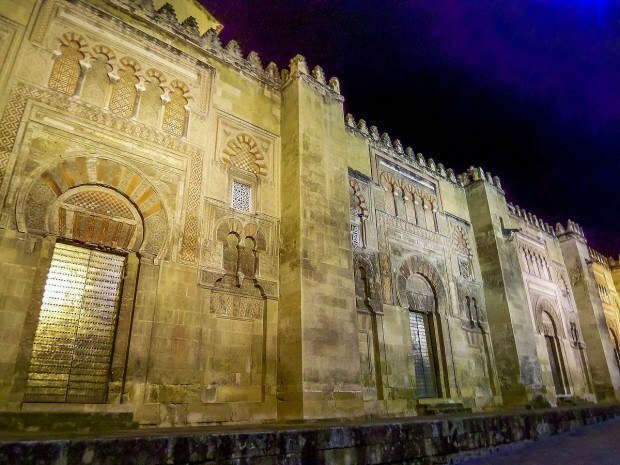 Like the Alcazar in Seville, the Mosque-Cathedral of Cordoba has been recognized as a UNESCO World Heritage Site for its outstanding and cultural value. Shortly before our visit, protests erupted demanding that the Mezquita be shared between Catholics and Muslims. During our visit, we found security at the former Roman-turned-Christian-turned-Muslim-turned-Catholic site to be extremely tight. In recent years, some of these protests have turned violent, including an incident in 2010 when visitors from Austria attacked the guards at the Mezquita with knives. 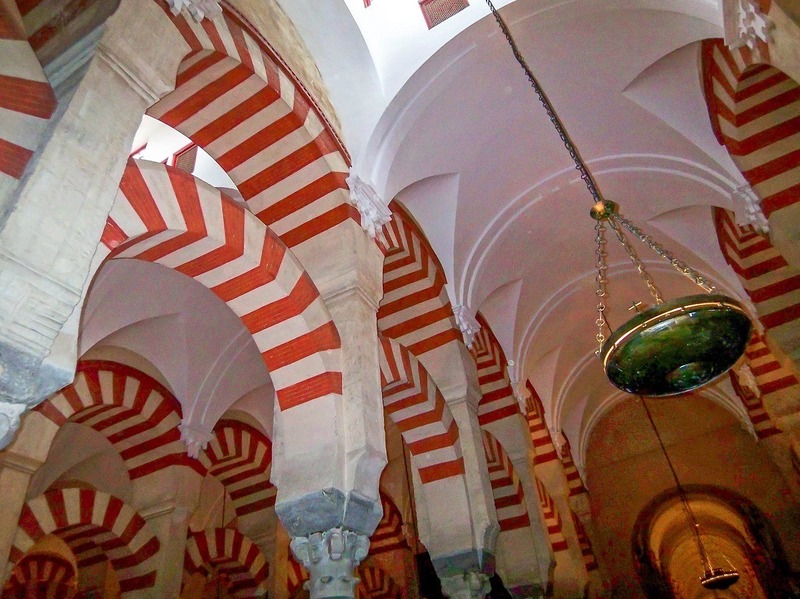 From our perspective, visiting La Mezquita Cordoba was a highlight of our visit to this Andalusian city! From March-October, 10:00am-7:00pm from Monday to Saturday. 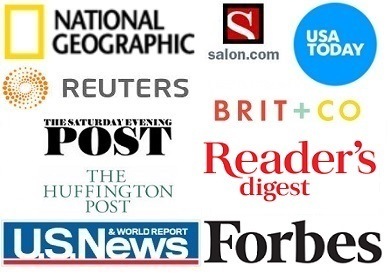 On Sundays, from 8:30am-11:30am and 3:00pm-7:00pm. From November-February, 10:00am-6:00pm from Monday to Saturday. On Sundays from 8:30am-11:30am and 3:00pm-6:00pm. Please note: we found the Mosque-Cathedral of Cordoba randomly closed for a siesta, so plan your time carefully. Adults are €10 and children are €5. : The easiest way to reach Cordoba is via train from either Madrid or Seville. : The easiest way to get around is to walk. 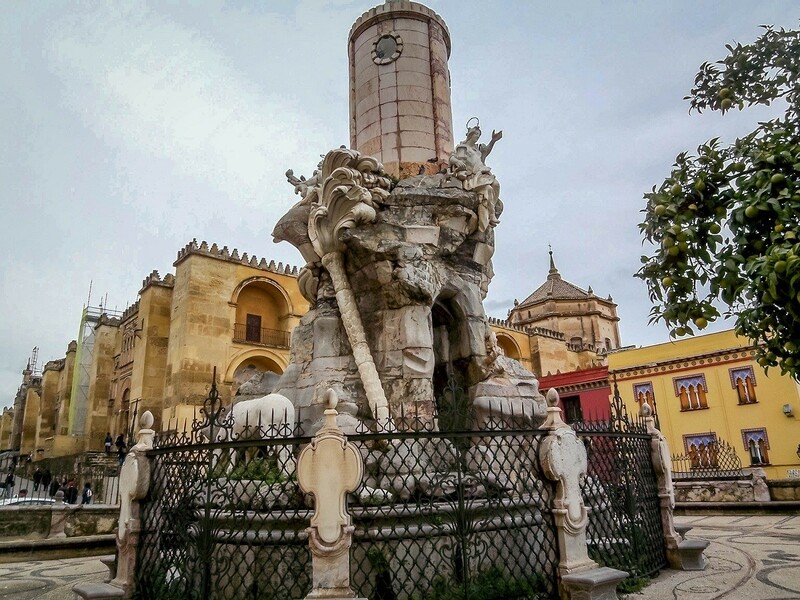 Most of Cordoba’s attractions can be found in a compact area. 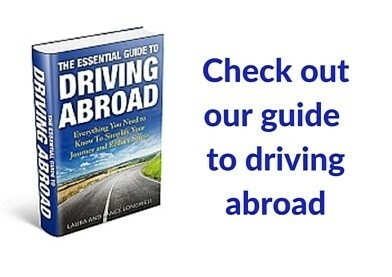 Taxis are the best option to get to and from the train station.